Parents sometimes feel guilty about returning to work and leaving their children in nurseries, although studies have highlighted many benefits. In a good nursery, staff will be trained to a high level in caring for children and providing a safe and stimulating environment. It has also been shown that the more time a child spends in a nursery, the quicker they develop in diverse ways. Day nurseries follow the early years foundation stage [EYFS] which lays out learning guidelines for babies and children up to five years. Experts in child development believe that children who attend nursery from an early age progress socially, mentally and physically, which will hopefully put most parents minds at rest. Professor of educational psychology at Oxford University Kathy Sylva, says that children who experience high quality nursery provision, are able to form better relationships when they go on to primary school. Also a study by the University of London, discovered that three or more years spent at nursery can result in children being more than a year ahead academically. Children who attend nursery are better equipped to embark on school life, as they are more used to mixing with other children, and engaging in a daily routine. They can settle in to a new environment easier and are accustomed to learning and thinking independently. Along with many practical skills, your child will develop their role playing abilities whether indoor or outdoor. This encourages social interaction, use of imagination and self confidence, as well as the benefits of exercise. A happy, rounded personality is the outcome when your child socialises with other children and adults. Children are usually delighted to demonstrate what they did, and talk about their day while away from the home. Potty training is a lot less hassle when your child goes to nursery, and gets used to the process. Apart from the practical necessities of using a nursery such as Channings Childcare, parents can relax in the knowledge that their child is receiving the care and attention they need. Nursery workers are some of the most dedicated people around, and take great pleasure in chatting about your child’s day. This entry was posted in Uncategorized on July 7, 2017 by OasisNursery_Admin. We all know what a sweet tooth most little ones have, but as so many things which are tempting are not exactly the healthiest options, it’s a good idea to try and get your tot used to more healthy choices. 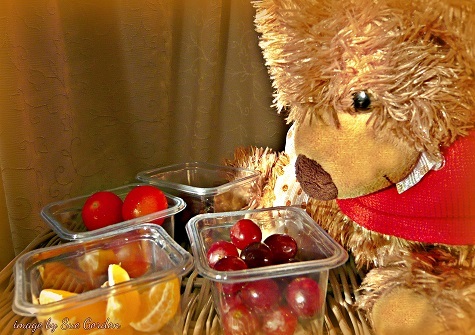 Snacks which are not full of sugar, artificial sweeteners and other nasty additives are widely available and can become firm favourites with children. The general rule is the least processed the better. Natural snacks come as savoury or sweet and both categories are loved by little’uns, who will happily graze on things like banana, apple, mango or pineapple slices, kiwi fruit, strawberries, blueberries, grapes, satsuma segments, dates, raisins and dried fruit pieces. You can have a grazing tray handy so that when toddlers are in the mood to munch, voilà! It’s a good idea to have these choices available when holding kiddies parties too, getting them used to the concept of healthy food being fun. By concentrating on whole foods when putting together snacks, you are encouraging your children to make sensible and healthy choices which will stick with them as they grow. A lot of the time people turn immediately to packaged treats without considering the alternative. While of course these snacks can be tasty and are ok to have occasionally, reports show that they can cause problems with health in the long run, give rise to behaviour problems and damage teeth. Children will often go with the healthier snack choice if they have easy access to them, and savoury snacks including small natural peanut butter sandwiches, cut up hard boiled eggs, celery, carrots, broccoli, bell peppers, button mushrooms and fresh sweet peas. A great way to keep these tempting titbits fresh during the warmer months, are party trays which hold ice, prep your stuff, and refill as and when. With an assortment of favourites and new ideas to try packed with goodness, you will be giving your little ones the best start. This entry was posted in Uncategorized on June 29, 2016 by OasisNursery_Admin. something which should start at an early age. Children learn by observing the behaviour of adults, and emulating it, so it is vital to set a good example for them at all times. Children love adult attention, and will endeavour to attain that by either good or even bad behaviour. The crucial part is the way in which that good or bad behaviour is dealt with, as this will make a lasting impression on each child. Children can contribute to compiling a list of rules for all to abide by, which is an opportunity to learn or reinforce acceptable ways to act. Children should feel safe and happy as well as included and respected by others, they are also reassured by the setting of clear boundaries. Explaining expectations in a way that they can understand and that is appropriate for their age, will help them to make reasonable decisions. A well organised routine will also ease any feelings of insecurity and stress a child may be experiencing, which is more likely to promote confidence, and result in positive behaviour. Organisation also means the child is occupied with a meaningful activity, and making them responsible for certain tasks, will ensure a sense of trust, ownership and involvement. 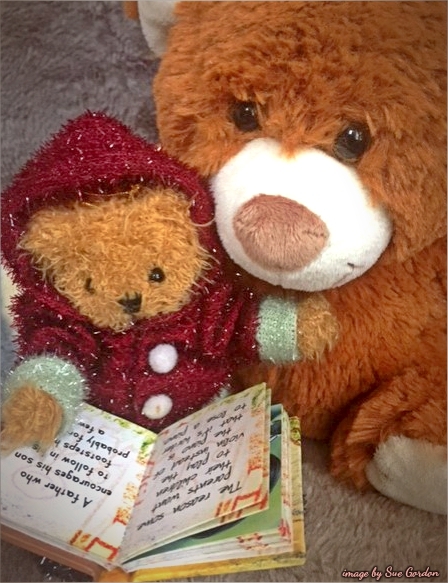 When children feel valued and are encouraged to display a thoughtful and caring personality, they will benefit from the affirming reactions of others in nursery, class, home and the wider community. Sharing, and thinking about the feelings of others is a major factor in childhood behaviour, which should be encouraged and rewarded. Positive reinforcement can be achieved in a number of ways such as a good behaviour sticker chart, although praise and a smile will sometimes suffice. Careful supervision of play and tasks is recommended, so that any negative behaviour can be nipped in the bud and dealt with patiently and appropriately for the age of the child. Be aware that some children will internalise their negative feelings by sulking or withdrawing, so this quiet behaviour shouldn’t be ignored. On the whole children enjoy getting noticed and praised for being nice or helping somebody, and these actions should be acknowledged and seized upon. These are all strategies involved in producing happy, healthy individuals, and something that is built into the training of professional nursery staff. Our web promotion partners Channings Nurseries, have three nurseries in Oldham and Rochdale, including one in Newhey, where staff are highly qualified in all aspects of child care. Each child is allocated a keyworker, who will support that child and keep parents updated frequently. Channings Nurseries are dedicated to providing a safe, caring and happy environment for babies, toddlers and pre-school children. This entry was posted in Uncategorized on June 24, 2014 by OasisNursery_Admin. Our web promotion partners Channings Nursery, Oldham, are dedicated to providing a safe and caring environment for babies and children from 0-5 in each of their three nurseries. 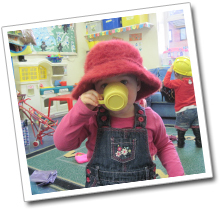 At their Royton nursery as with nurseries at Werneth and Newhey, they operate a system of best childcare practice, and encourage learning through play along with the development of social skills and awareness. The babies and children at Channings Nursery, Royton benefit from the stability which comes from committed long term staff, four of whom have received awards for long service in child care for 0 – 5 years olds. Great emphasis is placed on staff training and development, and each child is given a key worker who will work with them, note their progress and provide feedback to parents on a daily basis. Parents are considered to play a vital role in their child’s life within the nursery day at Channings Nursery, and parents entering into this positive partnership and getting involved is always a welcome option. A child’s keyworker will move through to the next stage or care room with the child until that child is happy and comfortable with the transition. A keyworker is crucial to how easily your baby or child settles into the new surroundings, and enjoys their time at nursery. Continuity is important which is why keyworkers are chosen to match your child’s attendance pattern at the nursery. A keyworker will establish a development/learning plan designed for your baby or child, which will record their progress, all of which will be reported back to the parents. The keyworker will wish to find out all about your baby or child including home routine, likes and dislikes, achievements, see photographs and hear about home life and bits of news. This information is all used to further develop your baby or child’s learning journey, and can also help the keyworker to plan activities both at nursery and ideas for home. Each of the Channings Nurseries follows the Early Years Foundation Stage (EYFS) guidelines, which identify three Prime Areas of Learning- Personal, Social and Emotional Development, Communication, Language and Physical Development. Four Specific Areas of Learning- Literacy, Mathematics, understanding of the World and Expressive Arts and Design, lead to a fully rounded nursery experience. Channings Nurseries are very accessible from the M62 at J21 at Milnrow / Newhey, from the Hollinwood junction on the M60 at Oldham, and on the main route from Oldham to Rochdale. 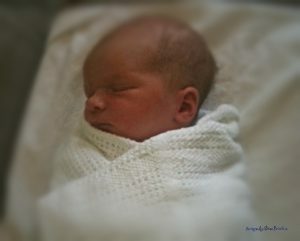 This entry was posted in Uncategorized on June 11, 2014 by OasisNursery_Admin. Developed Social Skills – An early start at a nursery, is always a good idea and allows your baby, toddler or pre-school child to learn about forming relationships with other children. Socialising and interacting are essential skills, and can help make the transformation from home to school a comfortable and happy one. Studies have shown that children who attend day care even just once or twice per week have enhanced social skills and are better prepared for mixing once at school. They will also realise things like how their actions can affect others, encouraging sensitivity to emerge. 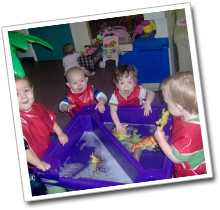 Improves Core Skills – A reputable nursery is a highly stimulating environment, offering a structured timetable of fun and educational pursuits. Whatever the age of your pre-school child, there will be a set of activities tailored specifically to that age group. Flexibility is provided by qualified staff, experienced in giving your child the ability for optimal learning. The Early Years Foundation Stage, is implemented in nurseries, and is a framework introduced by the government to ensure that certain learning and development standards are met. It has been proved that a child’s earliest years are significant and influence later development. Core skills are improved when children engage in a variety of tasks such as painting, reading, singing, listening and drawing. School Preparation – By introducing your child into the nursery environment you will be giving them a head start, and making sure that the concept of school is not a shock. By the time school life approaches, they will be used to a basic routine. It is exciting to see your child making friends and having new and fun experiences. Not only that but you will get a few hours to relax, meet friends or run errands, you may even be entitled to some help with nursery fees. This entry was posted in Uncategorized on May 14, 2014 by OasisNursery_Admin. Choosing a Nursery or Day Care Centre. 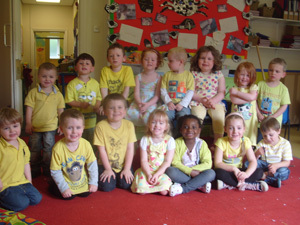 Nursery & Early Learning Centres in South Shields. Secure, Safe Child Care, CCTV Monitoring, Baby Care Unit, Special Needs Co-ordinators & Early Years Child Development. Word of Mouth – Try and talk to parents of children who are already attending the nursery, to see if their child is happy there and if the parents are satisfied with the way the day care centre is run. Visit – Arrange to visit the nursery, it is a good sign if the nursery has an open door policy to parents and welcomes you to look around. 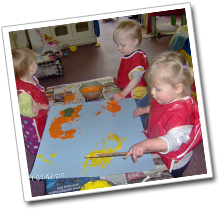 Fun and educational activities should be available, including painting, drawing, glueing, playhouse, water and sand play, story-time, construction, jigsaws, puzzles, singing, moving around, dancing, simple cookery and some computer work. Building – Your first impressions are important, is the building clean, tidy and well organised, with clear labelling on drawers etc. Is there a good selection of toys and resources in good condition. Are there specific areas such as the science corner, the the construction corner and the book corner and is the children’s artwork displayed on the walls. Does it look like a safe environment and what security measures are employed, CCTV? Restricted access? Are sinks and toilets clean and not smelly? There should be adequate provision for outdoor play in secure surroundings, with age appropriate toys. Children – How do the children seem? In a good nursery, there is usually a happy and busy hum, there ought to be a balance between concentration and stimulation without over excitement. Are the children encouraged to be confident and express themselves or make decisions and can you see evidence of skilful adult guidance in learning through play. Babies – Is there a dedicated area for babies, and does it seem comfortable, cheerful, clean and safe. Go by your gut instincts when choosing your child’s nursery, if you don’t feel relaxed and contented, neither will your child. Staff – It is crucial that the staff are not only qualified, but enjoy working with children and show an interest in them. Watch how they relate to the children and note whether or not they are happy to work with you and report to you if needed at the end of the day. Do staff undergo ongoing training to keep their skills up to date. Our web promotion partners Ashfield Nursery in Stanhope Rd, South Shields, provide a quality child day care service for babies, toddlers and pre-school children. Staff pride themselves on their relationship with the children and parents alike, and welcome parental involvement. A wide range of activities are provided and there are two secure outdoor areas, the nursery also has 24 hour CCTV monitoring. The nursery is clean and safe, and staff receive a programme of continual training and knowledge development. Ashfield Nursery are extremely proud of the warm and friendly atmosphere at their nursery, as demonstrated by their parent comments. This entry was posted in Uncategorized on May 7, 2014 by OasisNursery_Admin. Once upon a time, childhood was filled with endless days spent playing outside, enjoying social interaction, using imagination and exploring the body’s range of movement. Having fun in other words! Children were more active and had the opportunity to sample a vast amount of experiences, which in turn promoted physical and psychological development. Electrical toys and games were extremely limited, as was TV, so children amused themselves with a toy car, a doll or a book. Even an old cardboard box presented a world of potential entertainment. It is through the incredibly important process of play, that a child learns to integrate different experiences into their growing minds, emotions, bodies and social skills. These days, play is a lot more sophisticated for many children with traditional toys being replaced by computer games which are believed to have both negative and positive implications. Negative aspects of these sedentary games include lack of exercise which can hinder normal physical development perhaps leading to bad posture and obesity. Another main objection to video games is the content, thought to blur the lines between fantasy and reality, particularly if there is any violence involved. Positive factors indicate that computer games may assist your child to progress with skills like problem solving, fast decision making and multi-tasking. A child’s memory, concentration and perseverance are also considered by some experts to benefit from this activity. It is generally accepted that a child’s needs are met to a great extent by a significant amount of hands on learning. Play provides a way for children to integrate new experiences into their rapidly developing minds, bodies, emotions and social skills. Our web promotion partners Ashfield Nurseries, set in the grounds of South Tyneside District Hospital, provides everything needed for the promotion of your baby and child’s health and well being. Well designed rooms are equipped with features to support an educational, safe, and fun nursery environment. 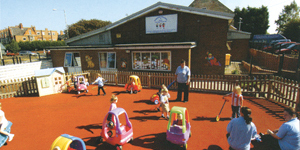 There are three separate age specific, outdoor play areas including items such as bikes, scooters, balancing beams, role play areas, sand pits, digging areas, slides & swings etc. Both grassed and soft sections are secure and the nursery has 24hrs a day CCTV monitoring. Indoor playrooms allow a considerable variety of soft play, wet play, social activities, games, computer and interactive access. Delicious and nutritious food is freshly prepared on the premises, by qualified chefs, with all dietary needs catered for. Highly qualified staff adhere to the high scope philosophy approach, which encourages children to use decision making in everyday life. Staff work in conjunction with the Early Years team and OFSTED to ensure excellent standards maintained.